Are There Things in Soccer You Cannot Teach? Are there some things you just can't learn in soccer? Are some soccer players just born with certain skills? 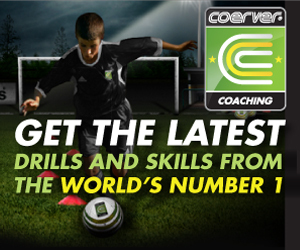 Are there things soccer coaches just can't teach? Yeah, we're all born with a certain amount of speed, strength, and athletic ability. Yes, we're all born to grow to a certain size, our weight and height pretty much mapped out in our genes. Well, unless you’re Lionel Messi, who bravely defied the growth issue by using a hormone to counter a growth deficiency he was born with. It’s really why Messi moved to Barcelona to train at La Masia – Barcelona was willing to pay for the injections and his club in Argentina couldn't afford it. But are certain ways of playing soccer and certain soccer skills just un-teachable? For instance, some players just don’t see certain passes or lack the imagination to even attempt certain plays or dribbling moves. There are certain artists in the game. Players like Messi. Players like Pirlo. Players like Iniesta. Players like Ibrahimovic. Players like Ronaldinho. Players like Zidane - a player who spun and turned with the soccer ball in ways very few could or will ever duplicate. And Zidane did it all like he was playing Sunday soccer, with a cool nonchalance, as if he was born to play this way. I’m guessing Zidane played exactly the same way growing up on the streets of France. Take a player like Iniesta. Small in stature and as pale as Conan O’Brien, if you saw him on the street you wouldn’t think he’s one of the best players in the world. What makes him so great though is the unique way he plays the game despite his small stature. The way he shields the soccer ball and cuts inside to break free from defenders. The way he seems to always pull off a genius give and go to get out of trouble or get into the goal box. 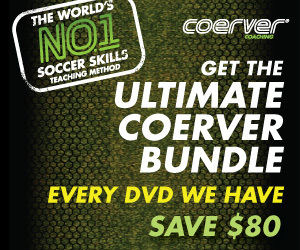 If we had all the Coerver Coaching moves and skills on the ball injected into our brain like a software program, are there still passes and plays we could just NOT make? Could we just not become the next Pirlo or Iniesta? Are there things we’d never see in the game since we weren't born with this skill? In a way, it gets back to the structured training idea versus the just play the game in the park, on the street or barefoot at the beach. Messi’s dribbling ability, the way he cuts and moves isn’t really something you can teach. It’s who he is. It’s what he learned by playing day after day in Argentina when he was seven years old, or maybe even younger. It’s those days out on the soccer field on your own, where you imagine you’re playing at the Camp Nou versus Real Madrid in El Calsico where those creative and dynamic skills come through. It’s those days on the streets knocking the ball around with friends, keeping the ball up in the air or playing keep away, where those clever flicks and the Pirlo like vision develop. “I grew up just coming home from school and eating, doing homework, and then it was four or five hours just playing soccer,” Klinsmann said. “And it was all unorganized and it was all buddies in the street and in the neighborhood. Then you started to join your local club team and you’d train maybe once or twice a week and you had a game on the weekend, but that was more like a little supplement to all the soccer we were playing on our own. “So you learned the game really just by playing it in the streets with your buddies." If you watch the English Premier League, there are two new players who have that special quality that you can’t teach but you can learn on your own. Eden Hazard and Santi Cazorla. Both players possess a confidence on the ball and a desire to go forward and attack. However, the fundamentals of the game are key. Messi has the technical ability on the ball and this enables him to go off script when he feels like it. Sure, there are players who put in the 10,000 hours of practice and won’t become the next Cristiano Ronaldo doing 10,0000 step overs per game. They might not have his speed, strength, size, desire or just the luck. But why not chase that dream. Why not try. I'd argue that the player who loves the game and puts the time in will develop those unique Messi, Iniesta and Zidane like qualities - the unteachable skills that wow the crowds. If they put in the time, train on their own and play in pickup games or any game they can get into with better and older players, they will get better and better. Why not dream of playing in front of 90,000 fans. Why not try to tell all the critics they were wrong. That’s what little Messi did when they said he was too small to play the game of soccer. Look at him now.